With a full line of gas, charcoal and electric models, Napoleon BBQ Grills are a great addition to any outdoor kitchen. Since 1976, Napoleon Gourmet Grills has created a premium line of outdoor grills focusing on superior technology, solid performance and balanced design that you can see and feel every time you start up your Napoleon BBQ and taste in every mouth-watering morsel of grilled cuisine. 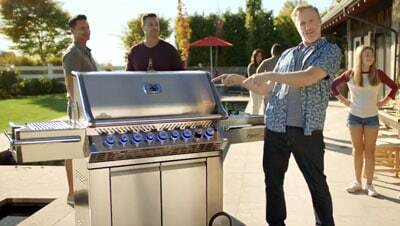 Fire up a Napoleon grill today and taste the difference!